With the heavily muscling of both Farrah and Prince, Spring Rose is well on her way to follow suit. This solid black filly has a nice smooth steady gait. She has a gentle outlook on life. 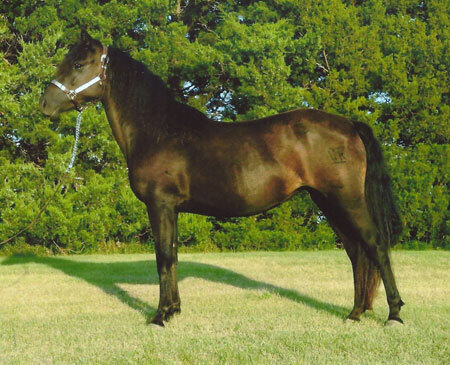 This filly should mature 15.0-15.1 hands and is the old type Morgan through and through. She is a potential teammate to GRM Sonatta. Spring Rose was imprinted at birth, is halter broke, and is current on all shots and worming.